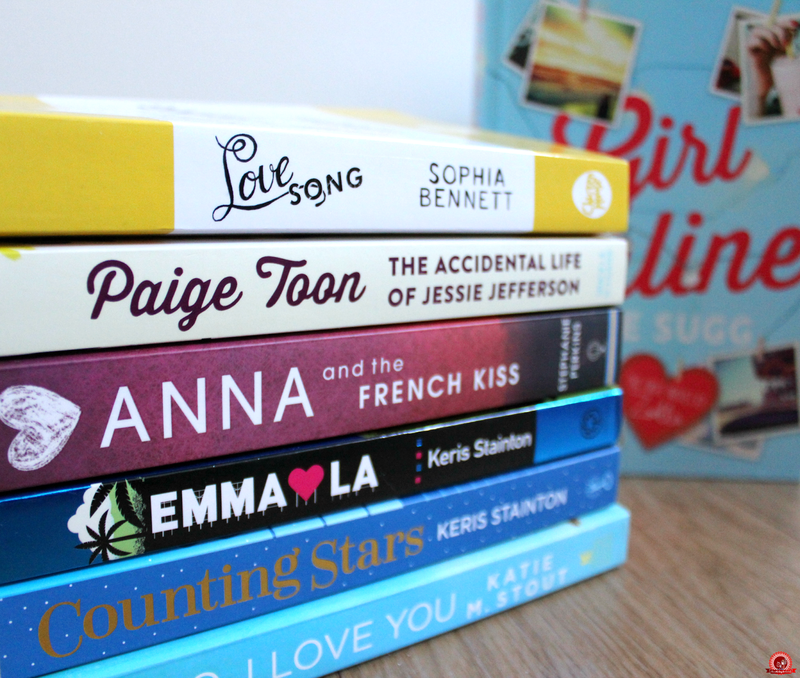 Girl Online by Zoe Sugg was able to reach a huge amount of readers, and a few of them might have loved it but not known where to start when it comes to other books. That's why I had a look at my (not mile-long...) shelves and selected some similar books that you'll love if you liked Girl Online. Give them a try - I loved all of these! This is actually similar to Girl Online On Tour rather than the first book. Nina, the protagonist, is completely uninterested in boyband The Point - and then she's invited on tour with them. Jessie has never bet her biological father, but in a tragic turn of events they end up reunited. However, her father is far from having an ordinary lifestyle for her to slip right into - he's a famous rockstar. Suddenly, Jessie is thrown into the world of champagne and red carpets. It's such a fun book to read! If you've been reading this blog for a while, you'll know Anna and the French Kiss is one of my all-time favourite books. Plot-wise, I don't think it shares any common traits with Girl Online, but if you enjoyed the travel aspect then you'll enjoy this. Emma accompanies her sister to an audition in glitzy Hollywood, and ends up with more than she'd bargained for when she finds herself in a love triangle. Another one by Keris Stainton! I picked this one because the main character is a vlogger, and this plays a big part in the story. It also has an awesome romance and is set in the wonderfully quirky Liverpool. If you're like me and you love travelling the world through literature, you'll like this. Set in beautiful Korea, Hello, I Love You focuses on the daughter of a record producer who wants to escape her family and music, so she leaves the US and goes to boarding school in Korea. Except her new roommate's brother is a famous musician. Some things you just can't escape no matter how hard you try. It's adorable and perfect for escapism. Have you read any of these? What books would you recommend to people who enjoyed Girl Online? They all sound like such nice reads! I'll have to check some of them out. Especially Anna and the French Kiss - I've heard so much about it. Ahh these all look so cute! Will definitely be reading them! Hello, I Love You sounds nice. A setting in Korea would feel like one of those K-Dramas. I'll check it out.